In the competition’s fourth year, the theme ‘London Inspires You. You Inspire London.’ reflects the Capital’s reputation as a city of fusion, a mix of tastes, flavours, styles, ideas and cultures; just as every great cocktail is a mix of inspiration and influence. Aiming to create a lasting legacy for entrants to celebrate their skills, their craft and inspiring eclecticism, BEEFEATER MIXLDN will see as many as 30 countries hosting national competitions across the globe. Each entrant will be invited to choose either Beefeater Dry or Beefeater 24 as the basis of their cocktail and then provide the story behind their creation and how they have been inspired by London. National winners will be flown to London in January 2015, to compete for the title of BEEFEATER MIXLDN Global Bartender Champion and the grand prize of taking part in the Beefeater Global Brand Ambassador Programme. The winner will be mentored by experts across a variety of specialities and will attend two of the world’s most prestigious bartender events of their choice, which could include Tales of the Cocktail in New Orleans, The Moscow Cocktail Show or Tokyo Bar Show. 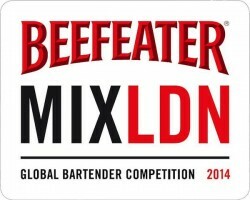 Bartenders* can enter via http://beefeatermixldn.com/ and the best entries from each country will be selected to compete in national heats between now and November 2014. Beefeater’s Global Brand Ambassadors, Tim Stones and Sebastian Hamilton-Mudge, will travel to the competing markets to attend each of the national finals and meet the successful bartenders. *Entrants must be 21 years old or above.